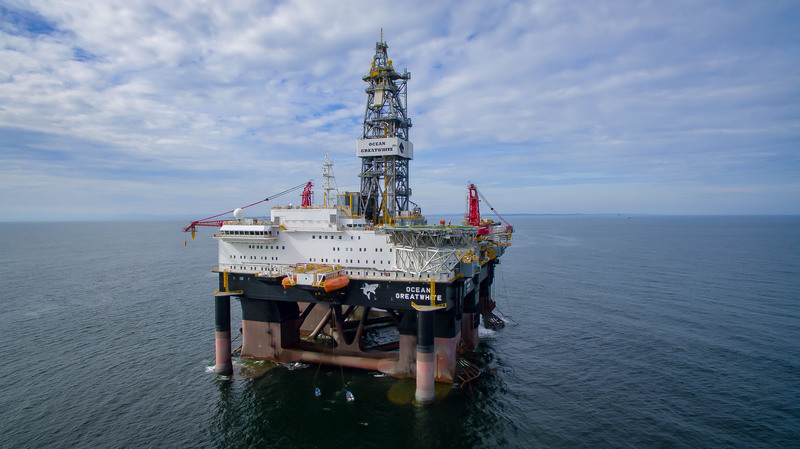 A huge refurbished dry dock in the Highlands has landed its first major contract, playing host to the world’s largest semi-submersible offshore drilling rig. Diamond Offshore’s Ocean GreatWhite rig is on a five-month journey from Singapore to Kishorn Port, which was last in use in the 1990s. 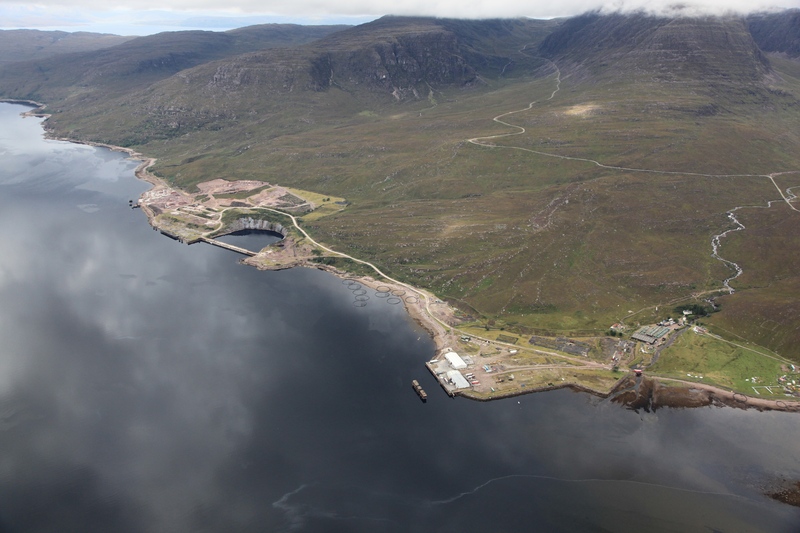 Bosses at Kishorn Port Limited (KPL), a company formed in 2008 to redevelop the Wester Ross facility, said the work is a “great step forwards” towards its future regeneration. The contract will see the rig made ready for a North Sea drilling programme early next year, and KPL said the deal will provide a “welcome lift to the local economy”. It is understood Ocean GreatWhite has been selected for Siccar Point Energy’s upcoming Lyon exploration well west of Shetland, a prospect thought to hold around three trillion cubic feet of gas. The rig, weighing 60,800tonnes, is expected to arrive at the port around the start of the New Year, having travelled from Singapore via Las Palmas in the Canaries. Alasdair Ferguson, a director of KPL, went to visit the rig while it was stationed there. He said: “I couldn’t fail to be impressed by the sheer scale of the Ocean GreatWhite. 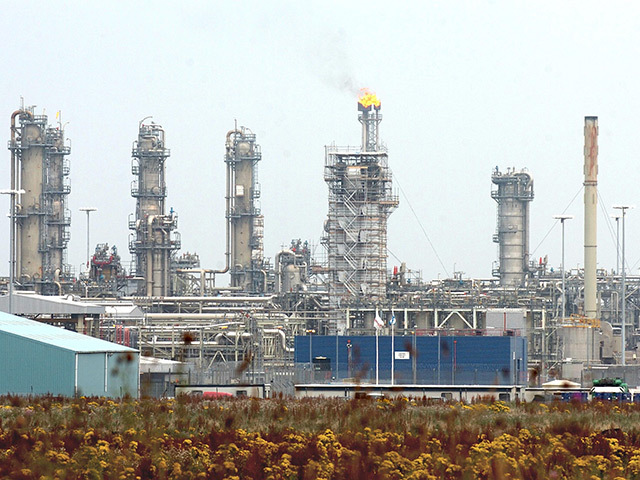 Kishorn Port, a huge Highlands employer during the North Sea oil boom, has been redeveloped. The Kishorn dry dock and yard once employed over 3,000 people in the early years of the North Sea oil and gas boom. In 1978 it supported the construction of the 600,000tonne Ninian Central platform, which at the time was the largest ever concrete structure to be moved on the planet. Yard operators Howard Doris succumbed to insolvency in 1988, with the facility lying largely dormant until 1992 when it was used to support construction of the Skye Bridge. KPL, a joint-venture of Ferguson Transport and quarry firm Leiths, secured permission for the redevelopment in 2013, and has promoted its capacity for oil and gas and renewables projects. With the backing of the Scottish Government’s Decommissioning Challenge Fund and Highlands and Islands Enterprise, the firm carried out a £450,000 project last year to restore the dry dock to full working order.